The typical laboratory uses far more energy and water per square foot than the conventional office building due to the intensive ventilation requirements and other health and safety concerns. The Labs 21 high-performance, low-energy design approach was employed with the Doherty Hall Phase II Renovations, with a focus on lighting, energy efficient design process, air supply and distribution systems. 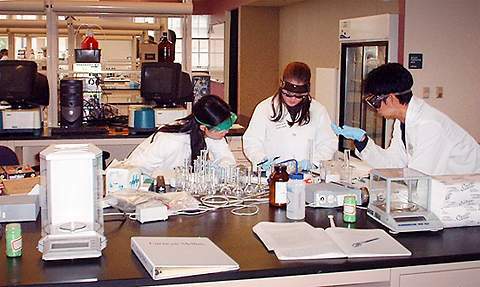 Because the requirements of laboratory facilities differ so dramatically from those of other buildings, the EPA and DOE established the Labs 21 Program.